Fear is an emotion induced by a perceived threat which causes entities to quickly pull far away from it and usually hide. It is a basic survival mechanism occurring in response to a specific stimulus, such as pain or the threat of danger. In short, fear is the ability to recognize danger leading to an urge to confront it or flee from it (also known as the fight-or-flight response) but in extreme cases of fear (horror and terror) a freeze or paralysis response is possible. Some psychologists such as John B. Watson, Robert Plutchik, and Paul Ekman have suggested that there is only a small set of basic or innate emotions and that fear is one of them. This hypothesized set includes such emotions as joy, sadness, fright, dread, horror, panic, anxiety, acute stress reaction and anger. Fear should be distinguished from the emotion anxiety, which typically occurs without any certain or immediate external threat. Fear is frequently related to the specific behaviors of escape and avoidance, whereas anxiety is the result of threats which are perceived to be uncontrollable or unavoidable. It is worth noting that fear almost always relates to future events, such as worsening of a situation, or continuation of a situation that is unacceptable. Fear can also be an instant reaction to something presently happening. All people have an instinctual response to potential danger, which is in fact important to the survival of all species. The reactions elicited from fear are seen through advantages in evolution. Fear can be a manipulating and controlling factor in an individual’s life. According to surveys, some of the most common fears are of demons and ghosts, the existence of evil powers, cockroaches, spiders, snakes, heights, water, enclosed spaces, tunnels, bridges, needles, social rejection, failure, examinations and public speaking. In a test of what people fear the most, Bill Tancer analyzed the most frequent online search queries that involved the phrase, “fear of…”. This follows the assumption that people tend to seek information on the issues that concern them the most. His top ten list of fears consisted of flying, heights, clowns, intimacy, death, rejection, people, snakes, failure, and driving. Though most arachnids are harmless, a person with arachnophobia may still panic or feel uneasy around one. Sometimes, even an object resembling a spider can trigger a panic attack in an arachnophobic individual. The above cartoon is a depiction of the nursery rhyme “Little Miss Muffet”, in which the title character is “frightened away” by a spider. One of the most common fears in humans is the fear of public speaking. People may be comfortable speaking inside a room but when it becomes public speaking, fear enters in the form of suspicion over whether the words uttered are correct or incorrect because there are many to judge them. Another common fear can be of pain, or of someone damaging a person. Fear of pain in a plausible situation brings flinching, or cringing. In a 2005 Gallup poll (U.S.A.), a national sample of adolescents between the ages of 13 and 15 were asked what they feared the most. The question was open ended and participants were able to say whatever they wanted. The top ten fears were, in order: terrorist attacks, spiders, death, being a failure, war, criminal or gang violence, being alone, the future, and nuclear war. Psychologists have addressed the hypothesis that fear of death motivates religious commitment, and that it may be alleviated by assurances about an afterlife. Empirical research on this topic has been equivocal. According to Kahoe and Dunn, people who are most firm in their faith and attend religious services weekly are the least afraid of dying. A survey of people in various Christian denominations showed a negative correlation between fear of death and religious concern. In another study, data from a sample of white, Christian men and women were used to test the hypothesis that traditional, church-centered religiousness and de-institutionalized spiritual seeking are distinct ways of approaching fear of death in old age. Both religiousness and spirituality were related to positive psychosocial functioning, but only church-centered religiousness protected subjects against the fear of death. A common reaction to fear. Many people are scared of the “unknown.” The unknown can branch out to many areas such as the hereafter, the next ten years, or even tomorrow. Many people are too scared to take the path they want to, because of what may lie ahead. Fear of the unknown is one of the reasons that people do not make an effort to enhance their scholarly education. However, if they do, most people would rather teach things they’ve been taught than go and do research on something new. They perceive this as a risk that may cause them fear and stress. This can lead to habits such as procrastination. People usually fear uncertainty. Parents tell their children not to talk to strangers in order to protect them. However, some research suggests we should not fear strangers but be mindful of the risks that they could pose on children. According to Irfan Jamil, coadjutor bishop of Lahore, as the world constantly changes, the greatest fear is the fear of survival. The social, economical, spiritual, political and educational circumstances in life make survival difficult in regard to such pressures that can come out of it. The fear and stress of living in a constantly-unpredictable environment can cause a number of anxiety disorders and other psychological problems. People develop specific fears as a result of learning. This has been studied in psychology as fear conditioning, beginning with John B. Watson’s Little Albert experiment in 1920, which was inspired after observing a child with an irrational fear of dogs. In this study, an 11-month-old boy was conditioned to fear a white rat in the laboratory. The fear became generalized to include other white, furry objects, such as a rabbit, dog, and even a ball of cotton. In the real world, fear can be acquired by a frightening traumatic accident. For example, if a child falls into a well and struggles to get out, he or she may develop a fear of wells, heights (acrophobia), enclosed spaces (claustrophobia), or water (aquaphobia). There are studies looking at areas of the brain that are affected in relation to fear. When looking at these areas (such as the amygdala), it was proposed that a person learns to fear regardless of whether they themselves have experienced trauma, or if they have observed the fear in others. In a study completed by Andreas Olsson, Katherine I. Nearing and Elizabeth A. Phelps the amygdala were affected both when subjects observed someone else being submitted to an aversive event, knowing that the same treatment awaited themselves, and when subjects were subsequently placed in a fear-provoking situation. This suggests that fear can develop in both conditions, not just simply from personal history. The creation of fear is affected by cultural influences and historical experience, especially during childhood or after serious accident happened. For example, in the early 20th century, many Americans feared polio, a disease that cripples the body part it affects, leaving that body part immobilized for the rest of one’s life. There are also consistent cross-cultural differences in how people respond to fear. Display rules affect how likely people are to show the facial expression of fear and other emotions. Although fear is learned, the capacity to fear is part of human nature. Many studies have found that certain fears (e.g. animals, heights) are much more common than others (e.g. flowers, clouds). These fears are also easier to induce in the laboratory. This phenomenon is known as preparedness. Because early humans that were quick to fear dangerous situations were more likely to survive and reproduce, preparedness is theorized to be a genetic effect that is the result of natural selection. From an evolutionary psychology perspective, different fears may be different adaptations that have been useful in our evolutionary past. They may have developed during different time periods. Some fears, such as fear of heights, may be common to all mammals and developed during the mesozoic period. Other fears, such as fear of snakes, may be common to all simians and developed during the cenozoic time period. Still others, such as fear of mice and insects, may be unique to humans and developed during the paleolithic and neolithic time periods (when mice and insects become important carriers of infectious diseases and harmful for crops and stored foods). Fear is high only if the observed risk and seriousness both are high and is low if one or the other of the seen risk or seriousness is low. The brain structure that is the center of most neurobiological events associated with fear is the amygdala, located behind the pituitary gland. The role of the amygdala in fear is best understood as part of a circuitry of fear learning. It is essential for proper adaptation to stress and specific modulation of emotional learning and memory. In the presence of a threatening stimulus, the amygdala generates the secretion of hormones that influence fear and aggression. Once response to the stimulus in the form of fear or aggression commences, the amygdala may elicit the release of hormones into the body to put the person into a state of alertness, in which they are ready to move, run, fight, etc. This defensive response is generally referred to in physiology as the fight-or-flight response regulated by the hypothalamus. Once the person is in safe mode, meaning that there are no longer any potential threats surrounding them, the amygdala will send this information to the medial prefrontal cortex (mPFC) where it is stored for similar future situations. The storing of memory in the mPFC is known as memory consolidation. After a situation which incites fear occurs, the amygdala and hippocampus record the event through synaptic plasticity. The stimulation to the hippocampus will cause the individual to remember many details surrounding the situation. Plasticity and memory formation in the amygdala are generated by activation of the neurons in the region. Experimental data supports the notion that synaptic plasiticity of the neurons leading to the lateral amygdala occurs with fear conditioning. In some cases, this forms permanent fear responses such as post-traumatic stress disorder (PTSD) or a phobia. MRI and fMRI scans have shown that the amygdala in individuals diagnosed with such disorders including bipolar or panic disorder is larger and wired for a higher level of fear. A treatment for fear conditioning and phobias via the amygdala is the use of glucocorticoids. In one study, glucocorticoid receptors in the central nucleus of the amygdala were disrupted in order to better understand the mechanisms of fear and fear conditioning. The glucocorticoid receptors were inhibited using lentiviral vectors containing Cre-recombinase injected into mice. Results of this study showed that disruption of the glucocorticoid receptors prevented conditioned fear behavior. The mice were subjected to auditory cues which caused them to freeze normally. However, a reduction of freezing was observed in the mice that had inhibited glucocorticoid receptors. Fear is distinguished from the related emotional state of anxiety, which typically occurs without any certain or immediate external threat. Panic occurs when one is intimidated of a certain thing that reminds them of their fear, and experiencing an alarm response. 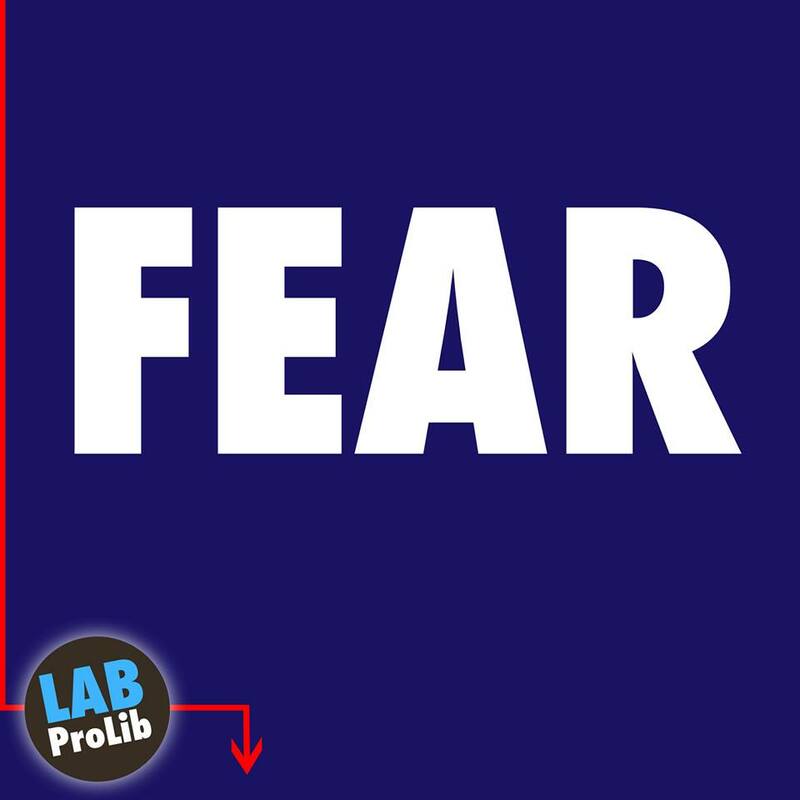 There are many physiological changes in the body associated with fear, which can be summarized as the “fight or flight” response. An innate response for coping with danger, it works by accelerating the heart rate, dilating the blood vessels, and increasing muscle tension and breathing rate. As the name suggests, this primitive mechanism helps an organism survive by either running away or fighting off the danger. After the series of physiological changes, only then does the consciousness realize an emotion of fear. Although fear is one of the crucial evolutionary mechanisms for individual survival, in certain situations psychologically normal humans can behave without feeling fear, with a total neglect of potentially lethal risk. A classical situation is when a child is attacked by a predatory animal (or an armed human), and a parent starts an all-out fight against the much stronger attacker, totally neglecting his or her personal safety. This mechanism is present among many species, most notably when a mother behaves fearlessly towards much stronger opposition in order to save her offspring. Ethnomusicologist Joseph Jordania uses the term aphobia for the temporary loss of fear, induced by the release of neurochemicals in the brain which leads to a specific altered state of consciousness. Jordania calls this state the battle trance. According to him, aphobia supersedes the individual’s instinctive fear for selfish survival and well-being, when more evolutionarily important subjects than that individual’s own life are in danger. These can be the life of a child, family members, or members of a soldier’s unit. Sometimes saving unknown humans or animals can also trigger the temporary loss of fear. Jordania suggested that battle trance and associated loss of fear and pain (known as analgesia) were designed in the course of evolution by forces of natural selection as a survival mechanism, as individual hominids were too weak to stand against the formidable African ground predators after they descended from the relatively safe trees to the ground. The state of battle trance, which can be induced by rhythmic drumming, singing, dancing, body painting, and the use of certain substances, allowed them to lose their individuality, obtain collective identity, and to fight together as a unit without feeling fear and pain, neglecting their personal safety for the evolutionarily more important reason. Unlike the feel of pain, which can be fully absent in some human conditions, there is no such condition as congenital absence of fear (although psychopaths are known to have a much lessened feeling of fear). The fear of the end and its existence is in other words the fear of death. The fear of death ritualized the lives of our ancestors. These rituals were designed to reduce that fear; they helped collect the cultural ideas that we now have in the present. These rituals also helped preserve the cultural ideas. The results and methods of human existence had been changing at the same time that social formation was changing. One can say that the formation of communities happened because people lived in fear. The result of this fear forced people to unite to fight dangers together rather than fight alone. Religions are filled with different fears that humans have had throughout many centuries. The fears aren’t just metaphysical (including the problems of life and death) but are also moral. Death is seen as a boundary to another world. That world would always be different depending on how each individual lived their lives. The origins of this intangible fear are not found in the present world. In a sense we can assume that fear was a big influence on things such as morality. There is another fear in the Bible that has a different meaning. It says to fear God. This is not a fear as in being afraid of God. Fear is used to express a Filial or a slavish passion. In good men, the fear of God is holy awe or reverence of God and his laws, which springs from a just view and real love of the divine character, leading the subject of it to hate and shun every thing that can offend such a holy being and inclining them to aim at perfect obedience. This is filial fear. Jer32:40 “…I will put fear in their hearts… . M. Korstanje argues that the fear may be politically and culturally manipulated to dissuade citizenry about the implementation of market-oriented policies, otherwise would be widely rejected. In contexts of disasters, nation-states manage the fear not only to provide their citizens with an explanation about the event or blaming some minorities, but also to adjust their previous beliefs. The manipulation of fear is done by means of symbolic instruments as terror movies and the administration ideologies that lead to nationalism. After a disaster, the fear is re-channeled in a climate of euphoria based on patriotism. The fear and evilness are inextricably intertwined. Our fears are portrayed through sources such as books, movies. For example, many horror movies and books include characters who fear the antagonist of the plot. Fear is also found in mythological folklore and folklore superstitions. One of the important characteristics of historical and mythical heroes across the cultures is to be fearless in the face of big and often lethal enemies. Pathogens can suppress amygdala activity. Rats infected with the toxoplasmosis parasite become less fearful of cats, sometimes even seeking out their urine-marked areas. This behavior often leads to them being eaten by cats. The parasite then reproduces within the body of the cat. There is evidence that the parasite concentrates itself in the amygdala of infected rats. In a separate experiment, rats with lesions in the amygdala did not express fear or anxiety towards unwanted stimuli. These rats pulled on levers supplying food that sometimes sent out electrical shocks. While they learned to avoid pressing on them, they did not distance themselves from these shock-inducing levers. Neuroscientists and psychologists are making breakthroughs in helping people overcome fear. Because fear is more complex than just forgetting or deleting memories, an active and successful approach involves a person repeatedly confronting their fears. By confronting their fears— in a safe manner— a person can suppress the fear-triggering memory or stimulus. Known as ‘exposure therapy’, this practice can help cure up to 90% of people, with specific phobias.